Who doesn’t want to be a waterproof ninja on a motorbike? That’s what I thought. EVERYONE wants to be that. You would be silly not to. The new Roland Sands Quest Jacket is exactly what such a master of the martial arts would wear if they were to go around the city for a bit before disappearing into the night. It even has a removable hood for when you need to blend in with the crowd of non-ninja masters that mindlessly ramble through the streets and interfere with your missions of clandestine craftiness. 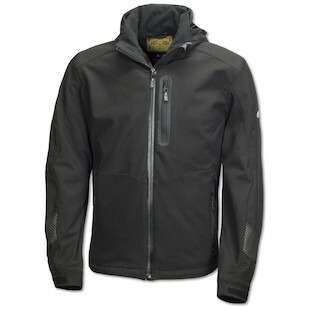 With a waterproof, breathable, windproof 3-layer softshell construction it is both comfortable and functional. While it is not equipped for high-speed abrasion resistance, the ability to add armor to the shoulder, elbow, and back offers the ability to beef up impact resistance should you hit the ground at low speeds. So be the ninja that your 7-year old self wanted to be, throw on the RSD Quest jacket, and jump on your grown-up motorbike for a great adventure.